In the modern world, there never seems to be enough time to stop and take your time to look up something. Luckily, as we modernize, we are also finding easier ways to live your life. On Friday, March 15, our whole class was assigned to make the very mysterious QR code. The reason a QR code is very mysterious, is because you never know where it can lead you to. We posted these QR codes in many various places around the school, hopefully getting people to scan the codes. A QR code stands for “quick response code,” and was first used in Japan. These codes are made up of little and big squares and designs that are each unique in their own way. You can use your smartphone to find the meaning behind the QR codes. To see where these puzzles will take you, simply download a QR code reader on your smartphone on the android market or apple store. Then, scan them and the phone will automatically take you to where the QR code was designated to go. 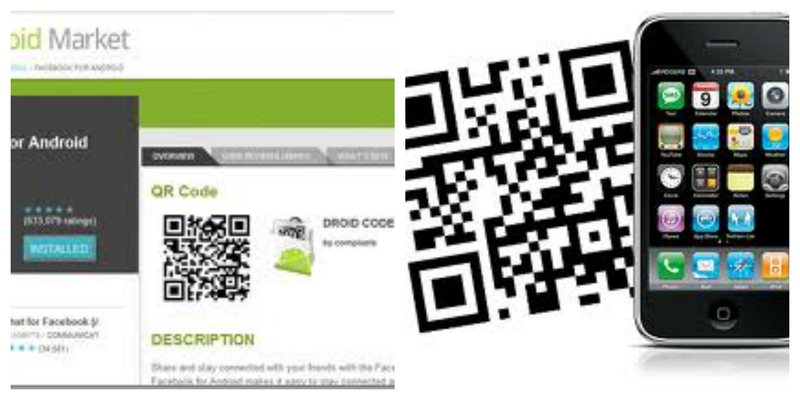 As you can see, you can easily find QR scanners on the market for both androids and iPhones. Also, they are mostly free and they have a variety of apps that will fit your needs. To scan QR codes, just adjust your camera over the QR code until it scans. For me, I use QR BARCODE SCANNER by WB Development team. This app is for android and is very easy to use. I love this app because it also scans barcodes. Some other apps take awhile to read the code or find it, but QR BARCODE SCANNER is very accurate in finding what you are looking for. There are many uses to QR codes. For example, many people use their QR codes for advertising for many different things like contests, products, or special offers. Many stores will have QR code coupons that will take you to the coupon after you scan them. In our case, we used our QR codes to advertise our blogs. In addition, they can be very useful in payments for banking or checks. During World War I, many letters were sent home saying that the war was not bad at all and it was fun. This, however, was completely false. The war was hell-like and many people death, almost 20 million. This was due to the censorship that the generals used to make war seem like something good and not scare the citizens at home. This was just like when Paul had to tell Kemmerich’s mother that he died a very peaceful death and did not suffer at all. The QR codes were just like propaganda and the censored letters. Propaganda posters was also used to advertise war and get a mind set of the enemies. They also showed much nationalism to the citizens, hoping that they would join the war and help. These were like QR codes because they were advertising and were also very mysterious. Many people believed the propaganda posters because there were so many around that it became a part of their lives.